It's easy to use, simple, beautiful and powerful for any of phone, tablet and TV box. On your home page pinch the screen. Tap on the icon at the bottom center of screen. On one of the screens you will see a + . Tap on it. This will center your screen on this page when you go "Home"
Setting up pages can be very helpful in organizing categories. On my own device I use the following pages: Home, Games, Media, and System. Tap on the add tile icon ( a square with a + in it ). This will create shortcut installed on your device. 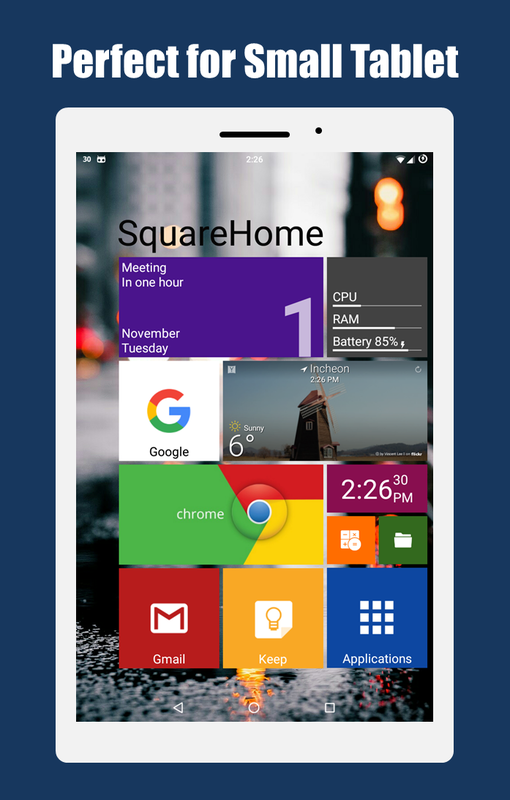 Some apps have widgets that can be used on your home screen. They can allow you to interact with any background functions you may have running. Media apps may have play/stop/pause functions. Cpu control apps may allow you to change your cpu speed. A divider seperates your tiles vertically. This is a cube that you can place a tile on each side. You can then spin it to show all sides to that cube on your home screen. A tile group kind of acts like a page. You set a shortcut to it on your home screen and it will send you to that page. I have used this option to create simple menus. You can also nest tile groups. A simple shortcut to your app drawer.